Do Your Back | When Do They Serve The Wine? The economy is still shaky, and lots of people are still out of work. In New York City, we are used to seeing all variations of cash-seekers on street corners and in the subway. They do their best to grab out attention because New Yorkers are famous for knowing how not to notice someone. 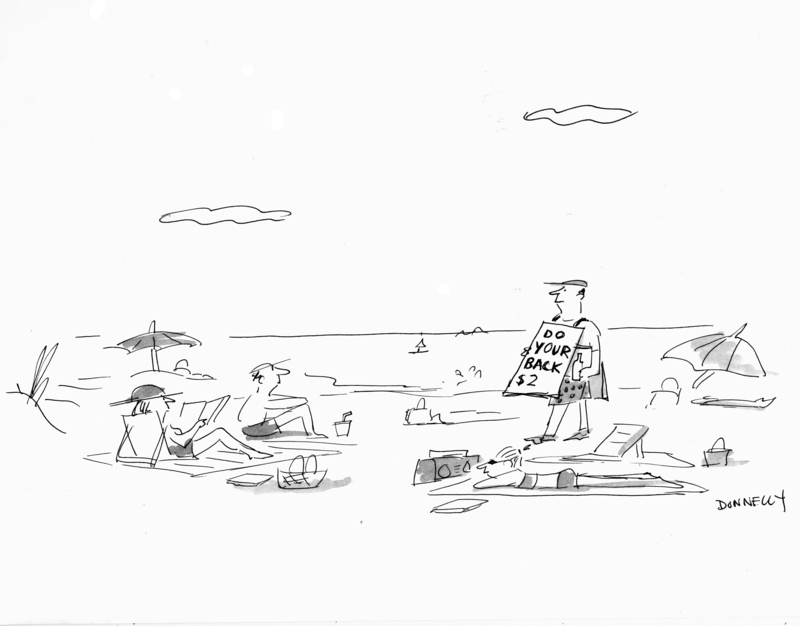 On the beach, however, there could be some really great ways to make a few extra bucks. Although, personally, I don’t know if I’d take this guy up on his offer. This entry was posted in Random but Relevant and tagged beach, economy, jobs, New York City, Subway. Bookmark the permalink.